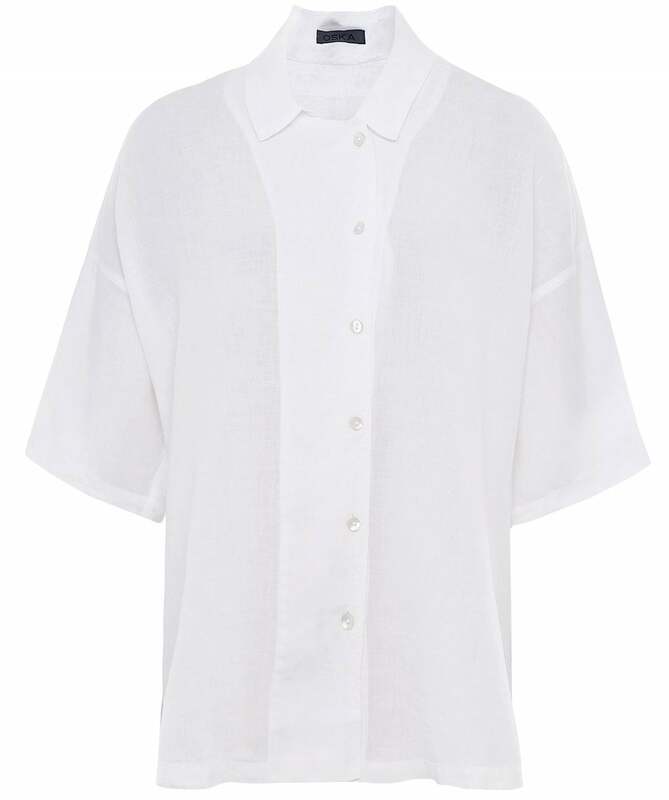 Get a laid-back seasonal look with the Oska Ameria shirt. Expertly crafted from pure linen, this beautiful lightweight blouse is a breathable and versatile garment with a relaxed collar, button down fastening and short sleeves with dropped shoulders. With its modern A-line silhouette, this Oska shirt will look great with all types of trousers.